Figure 1. The shift from gravity irrigation to center pivot irrigation (left) in the Central Platte Natural Resources District was a leading factor in reducing groundwater nitrate contamination in the area. Next steps will include moving to in-season nitrogen application using applicators or fertigation in response to sensed plant need. With heavy rains and saturated soils in many areas of Nebraska, how much nitrogen is still available as corn nears V8 to VT, a critical stage for nitrogen use? That's a question many growers may be asking this year as they consider the potential need for in-season nitrogen application. Figure 2. 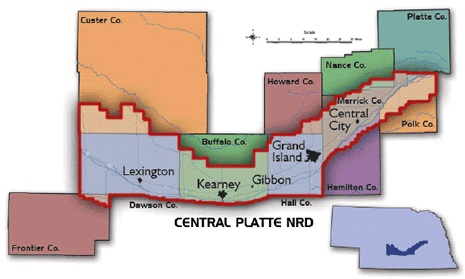 The Central Platte Natural Resources District was the first to establish a Groundwater Management area in 1988. "Some of the nitrogen that was applied this spring or last fall is surely gone," said Richard Ferguson, UNL soil scientist, and that's a concern. He researches nitrogen use efficiency in irrigated row crop production and, based on his research, would like to see more growers using in-season applications to better coordinate the timing of nitrogen application with when the plant needs it. This was one of the recommendations in a recent Journal of Environmental Quality article Ferguson wrote after examining changes in farming practices and the effect on nitrate levels in groundwater in central Nebraska. initially inefficient management of irrigation and N fertilizer coupled with shallow aquifers and frequent occurrence of sandy soils. In the article, "Groundwater Quality and Nitrogen Use Efficiency in Nebraska's Central Platte River Valley," Ferguson tracks producer and regulatory efforts to manage nitrogen and irrigation over a 25-year period in central Nebraska. 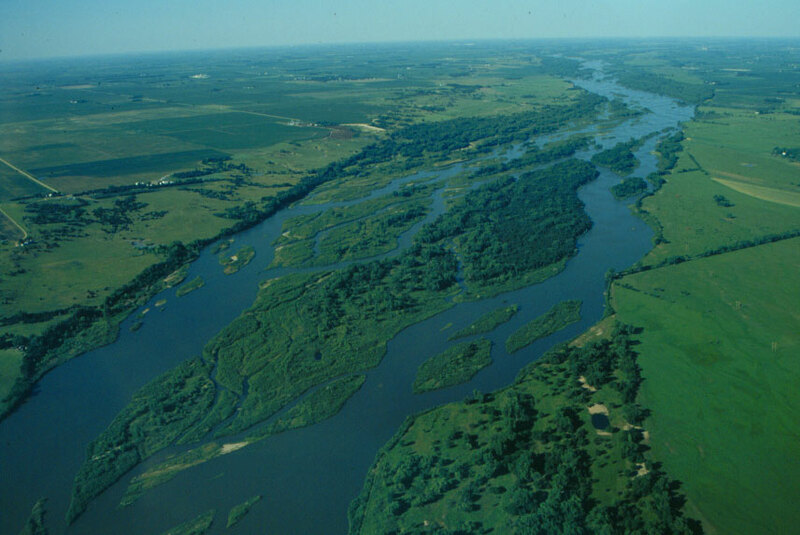 His research used information reported to the Central Platte Natural Resources District (CPNRD), an area extending along the Platte River from western Dawson County to Platte County (Figure 3). In 1988 concerns about curtailing nitrate contamination in this area led to the establishment of Nebraska's first Groundwater Management Area (GWMA). The GWMA established four phases of monitoring and management based on levels of nitrate contamination in the groundwater. The phases restrict timing of N application, but not fertilizer or irrigation rates, Ferguson said. For example, in Phase 1, nitrogen application in the fall is limited. Phase 2 includes Phase 1 requirements plus the use of soil testing and N credits for manure and previous crops and certification in nitrogen management. Phase 3 requires everything in the previous two stages plus an approved nitrification inhibitor or split application for applications of more than 56 kg N ha. Phase 4, which has never been applied, would institute restrictions on nitrogen rate used. Growers over-estimated expected yield compared to actual yield in 18 of 20 years studied. (Typically, UNL and CPRND recommend estimating an expected yield using the mean yield from the previous five years and adding 5-10%.) Applied rates were higher than the CPNRD-recommended rate in all 20 years studied. A 2005 evaluation of a subset of the GWMA (Merrick County) compared applied nitrogen with the amount recommended by the University. Generally growers applied a similar amount, regardless of soil test results, indicating a lack of trust in recommendations that differed most from their usual practice. In some cases that meant growers were applying two to three times the nitrogen indicated by the soil test. In other cases, they applied much less than the need indicated by the soil test. In either case, not trusting the recommendations cost them due to paying for unnecessary inputs or not achieving optimum yield. Nitrogen use efficiency has shown little change in the Central Platte NRD during the period studied, while other areas of the state have improved. This may indicate that the management level for corn in this area was above the statewide average when the study started. If nitrogen use efficiency is expressed in terms of available N, the trend for improved nitrogen use efficiency is more positive. Avoid fall applications and consider in-season split applications to coordinate timing of nitrogen placement with plant needs. Use University recommendations for applying nitrogen to corn, wheat, and sorghum. These have been well tested and proven successful in University and on-farm producer trials. Use current research-based, soil-test based algorithms to approach the optimum N rate and timing. If you're applying nitrogen preplant, use an inhibitor to place activation closer to the time when the plant will need it. Producers farming in Phases 2 and 3 annually reported on their yields and practices, providing Ferguson extensive data he could compare with parallel changes in groundwater nitrate levels in the GWMA. 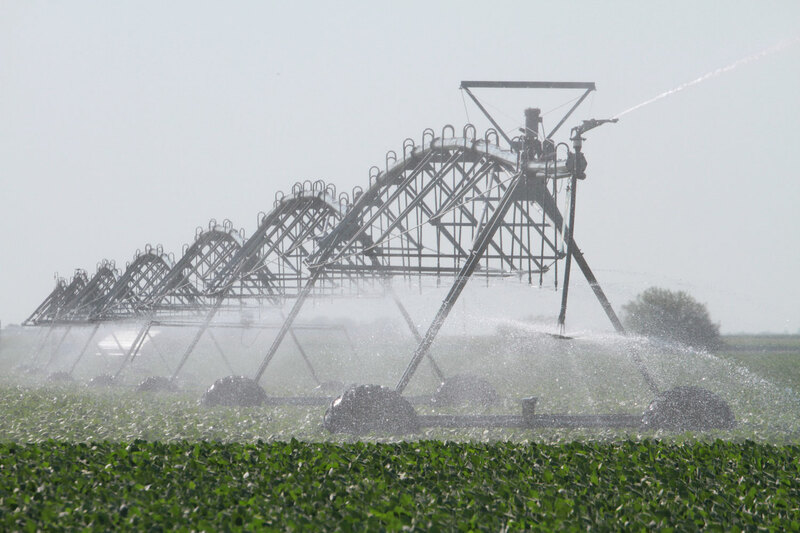 improved irrigation management – especially conversion from furrow to sprinkler irrigation. Now, however, it appears that nitrogen use efficiency may have reached a plateau as there has been no appreciable change in the GWMA or statewide over the past decade. "The data suggests that with preplant applications or other practices we've historically used, we've about reached the limit of efficient fertilizer use," Ferguson said. "To improve nitrogen use efficiency, we need to move toward methods of applying it when the crop needs it. From a stewardship and from an economic perspective, we shouldn't have nitrogen at risk of being lost." 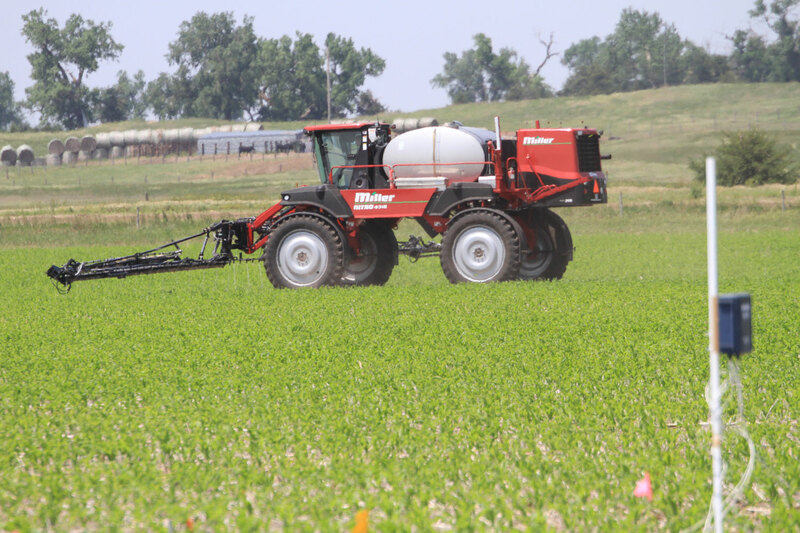 "This will require improved monitoring to determine when and where nitrogen is needed and using in-season application methods such as sidedressing and fertigation to apply nitrogen as the plant needs it." Increased use of inhibitors or controlled release fertilizers also could help improve nitrogen use efficiency on many soils, Ferguson said. "If we take this one step further, rate will not be part of our recommendation. We'll just be addressing stress. If a crop is stressed for nitrogen, we'll apply a bit. We'll come back in a few days to see if the stress has been relieved. If not, we'll apply more." Ferguson envisions a point in the near future when new technologies such as center pivot sensors or unmanned aerial vehicles (UAVs) will help growers identify plant stress throughout the season, allowing "in-time" responses. As with other new technologies, ease of use, expense, and trust that they'll perform well are key to integrating changes in nitrogen application routines. That's why UNL researchers are examining producer adoption of previous nitrogen application technologies as well as integration of new technologies to provide the research-based information growers need for informed decision making. UNL's Project SENSE, led by Ferguson, is one such project. It is researching the use of sensors, such as on high-clearance equipment, to provide timely information on plant stress and water needs. Additional studies are underway on the use of inhibitors and slow-release fertilizers, fertigation, and other field sensors. For more detailed information read Ferguson's article, Groundwater Quality and Nitrogen Use Efficiency in Nebraska's Central Platte River Valley, in the Journal of Environmental Quality.